‘Damart Way’ is Damart sustainable procurement initiative and through this initiative, Damart is dedicated to offering its customers products that combine style and well-being. This promise relies on values of innovation and consideration, which are fundamental values for our brand. 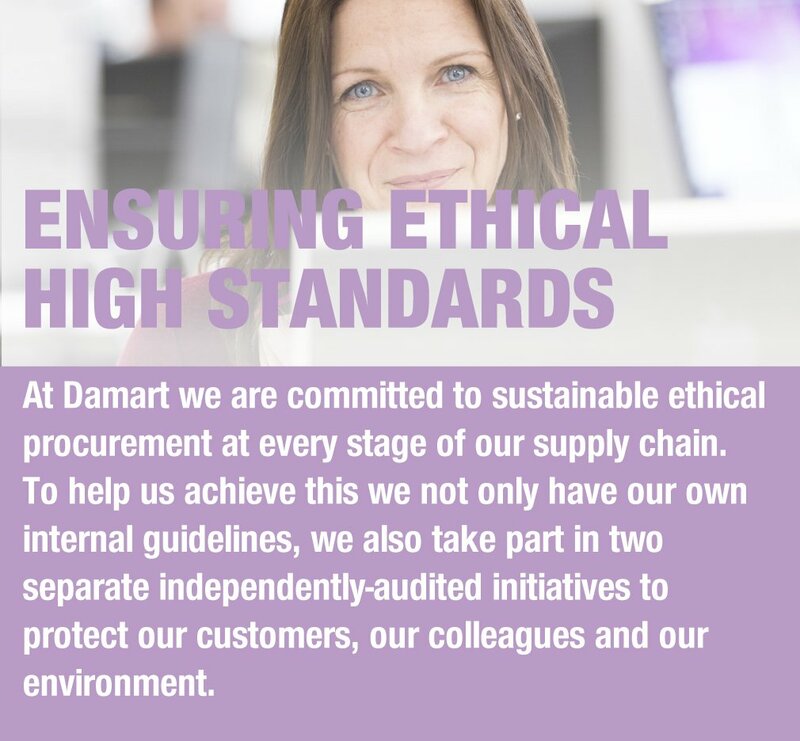 Damart’s sustainable procurement initiative is predicated on the values of innovation and consideration which are fundamental to our brand. The people who make our products are treated with respect and that the manufacturing process has no negative impact on the environment. Our products have no negative impact on the health of those who produce them or consume them, or on the environment. Our working processes prohibit modern slavery and human trafficking in both our own organisation and our supply chain. As members of the UN Global compact, Damart is committed to the following 10 principles in the areas of human rights, labour, the environment and anti-corruption. We work together with UN agencies, labour groups and civil society to progress these principles, and share our best practices every year. By joining Initiative Clause Sociale, Damart is working together with other retailers to improve conditions for colleagues and suppliers via independent audits based on national laws, ILO recommendations and the Declaration of Human Rights. It enables us to coordinate our audit approach and benefit from pooled resources and results. Ensure that we are not complicit in human rights abuses. End all forms of forced and compulsory labour. All of our products comply with the highest quality, safety and regulatory standards, certified by independent specialist laboratories commissioned by us or our suppliers. All Damart suppliers are obliged to conform to the European Union Regulation requiring the Registration, Evaluation, Authorization and Restriction of Chemicals of very high concern (REACH). The regulation addresses the production and use of chemical substances, and their potential impacts on both human health and the environment, and is closely monitored and policed through regular random testing by Damart at certified laboratories. Damart no longer use genuine fur on any of our products. Damart no longer use Angora wool on any of our products.